Kate is an FF&E (furniture, fittings & equipment) specialist where we are pioneering the study and integration of this vital area. 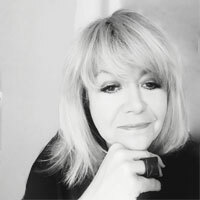 She trained in theatre design, has worked in the UK and internationally over the last 20 years on private residential and commercial property developments. She is an expert on furniture and finishes with encyclopaedic knowledge of sourcing and manufacture for prestigious and widely varied clients, including Philippe Starck, Marcel Wanders, Virgin Upper Class Lounges, Sony and BP.